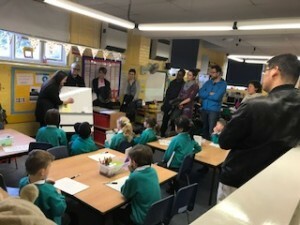 Home Blog Key Stage One Open Morning – Great to see so many parents! Key Stage One Open Morning – Great to see so many parents! Over 40 parents joined us this morning to get a taste of how their children experience school from 9 – 10.30. They were able to see our morning routines and how we have a moment of reflection at the first part of the day. 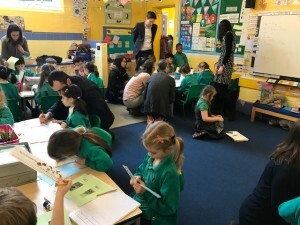 It was then maths learning across all classes where parents could join in with and support their children’s learning! It was great to see so many parents here this morning and we hope that you enjoyed your opportunity to see school in action. 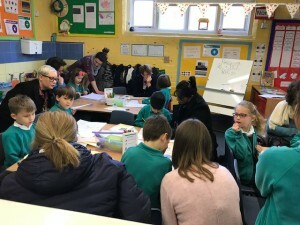 A very big well done to all the teaching staff who, despite having so many parent observers, were able to give a good sense of their teaching approaches and to all the children who were having to manage their distractions too! Comments such as “Such a caring environment particularly with individual children that need attention” as well as “A lovely values session at the start of the day… Super. Thanks for allowing us to visit” have already been gratefully received. Please return any comments via your child or office as we value your perspectives about your experience too!